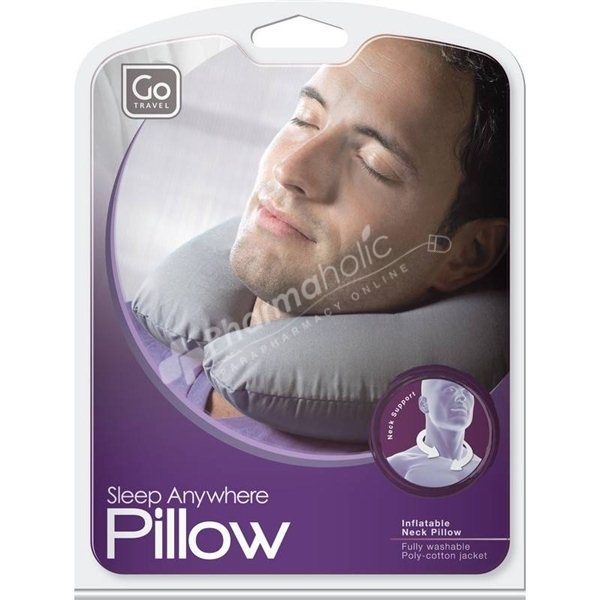 Horseshoe shaped inflatable travel neck pillow with removable polycotton cover.The inflatable horseshoe-shaped neck pillow is still the best companion for long trips on any mode of transport. Guarantee you don't wake after a long journey with a neck as supple as sheet metal. The inflatable horseshoe-shaped neck pillow is still the best companion for long trips on any mode of transport. Small lightweight beads present a severe danger to children if swallowed or inhaled.